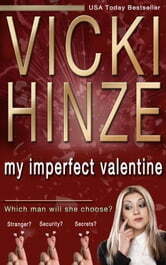 From the USA Today Bestselling Author Vicki Hinze comes My Imperfect Valentine, a standalone novel (published in 1998 and rewritten in 2015) about one woman with two dreams and three men in her life. Amanda realizes her dream of owning her own card shop. But can she hold onto it? 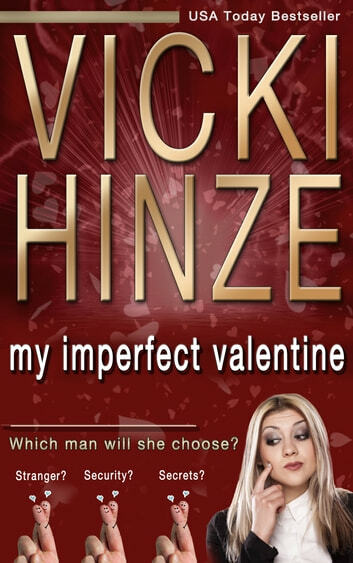 Struggling to stay afloat has her questioning her own judgment, making it the worst possible time to decide on one of the three men in her life. But now is the time she must choose, and she can’t afford to be wrong with her future at stake. What does she want most? Three men. Three very different relationships. Jonathan, the illustrator who touches her soul yet remains a stranger who might or might not love her. Bradley, her father’s wealthy protégé who doesn’t touch her soul but offers her marriage and security. Or Max, a man who attracts her, supports her and her dreams, but carries secrets he won’t share.